Lake Abaya situated Five hundred & three kilometers (503) south of Addis-Abab via Wolaitasodo around Arbaminch. 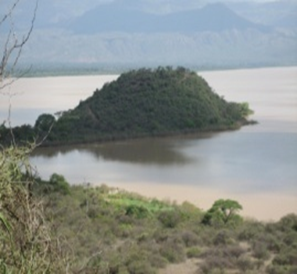 It is the second largest lake in Ethiopia, it has 1,160 Sq k/.m2 surface areas. With a length of 60k.m and it has a maximum depth of 13meters. The elevations are around 1235m.